How Do You Balance Planning and Agility? From the mid-twentieth century on, planning was paramount in most corporations. Planning involved determining goals, the incremental steps required to meet the goals, and the division of goals and steps into departments and teams whose mandates were aligned with overall corporate goals. But beginning in the late twentieth-century digital revolution, while planning was still paramount in organizations, it became less and less popular across the board. The reason is simple. Several factors, including technological disruption, changing markets, the need for rapid and agile innovation, and globalization, all required somewhat different priorities and qualities than corporate planning did. In fact, a recent Harvard Business Review article notes that many managers are increasingly frustrated by long-range corporate planning, because changing environments can make planning virtually worthless — and thus, literally, a waste of time. Most business strategies, however, at least implicitly admit that both planning and agility are good things for organizations to foster. The job is to balance them enough so that organizations reap the benefits of both. The key is developing a Venn diagram that can contain an intersection of planning and agility in the middle. The HBR recommends that the middle should be termed “agile planning,” with the following characteristics. The other requirement in agile planning is, of course, processes that can foster both planning and agility. Agile organizations often work in small teams that are designed to be able to respond quickly to changing conditions and opportunities. The teams are often tasked with gathering data on products and marketplaces to ensure an agile response. As a result, their information style is often bottom-up gathering. But at the same time, the teams are tasks with overall corporate goals driven by the business strategy of the organization, which is top-down. 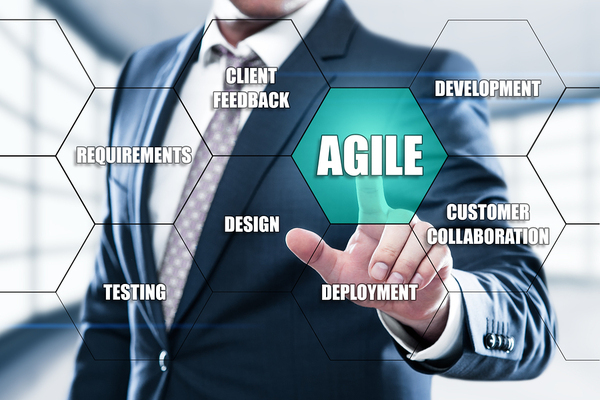 Managers in organizations that foster agile planning must therefore constantly be weighing and sifting the bottom-up and top-down approaches, and trying to gain the benefits of both. Organizations involved in agile planning must also balance gathering two types of data inputs, according to the HBR. The first is hard data, on sales, segments, markets, and customer and competitor behavior. Most corporate planning departments keep copious data on all of these. But equally important is soft data. Soft data can be conceptualized as what a network says. Contacts, customer feedback, the experiences of suppliers and employees, sector grapevines, and intuition all feed into soft data. Agile planning institutions need to be able to balance hard and soft data and use wisdom and judgment in deciding which to deploy at any given moment. In many ways, the move away from a strict corporate-planning only model has called forth the importance of human judgment in determining which way an organization should go.